This post features menus for Hill Country Barbecue Market. To check out my full review, click here. This post features th Barbecue can be hit or miss for those of us with dietary restrictions. With hidden ingredients in meats and sauces, plus an emphasis on cornbread and other glutenous sides, I've had limited success in finding safe BBQ to try. 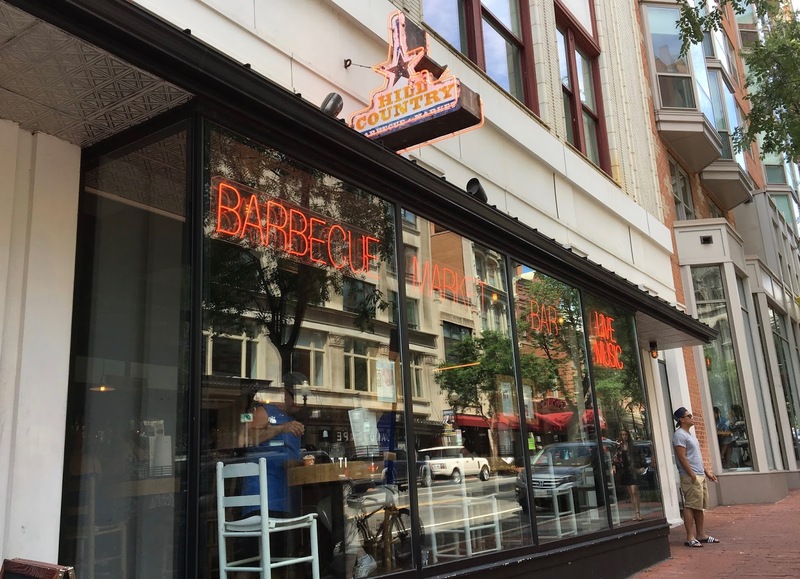 When walking up the restaurant-dense 7th St corridor in D.C. one weekend, I passed Hill Country Barbecue Market, which seemed to be bustling. A craving struck me, so I did a little preliminary research before heading back there to try them out. Hill Country Barbecue Marketing has locations in D.C., Brooklyn, and New York City, and from quick research, I assessed that they seemed to be gluten-free friendly. Focused on serving up hearty Texas-style BBQ, I was excited to see just how safe they would be. 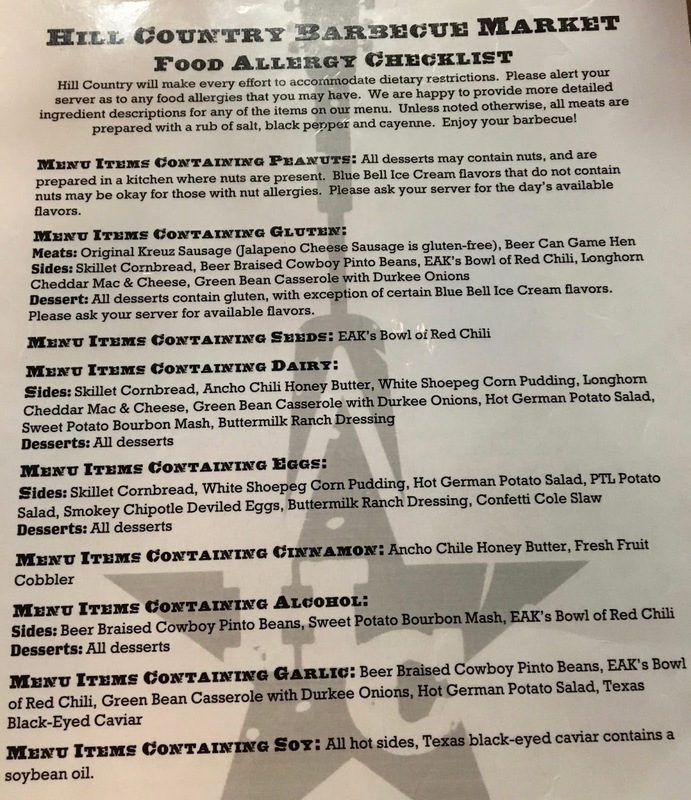 Upon request, the server brought out the gluten/allergen menu, which was easy to read and figure out what was safe for me to eat. 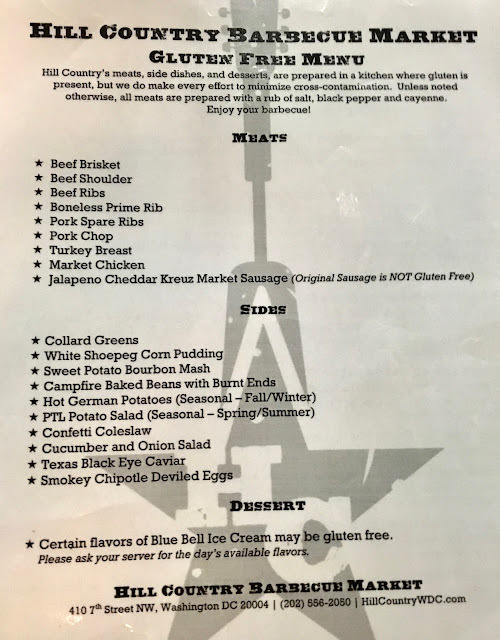 When I ordered, the server brought the meat and sides from the back to make sure they were truly safe. The flip side of the gluten-free menu features allergen information for many top allergens. 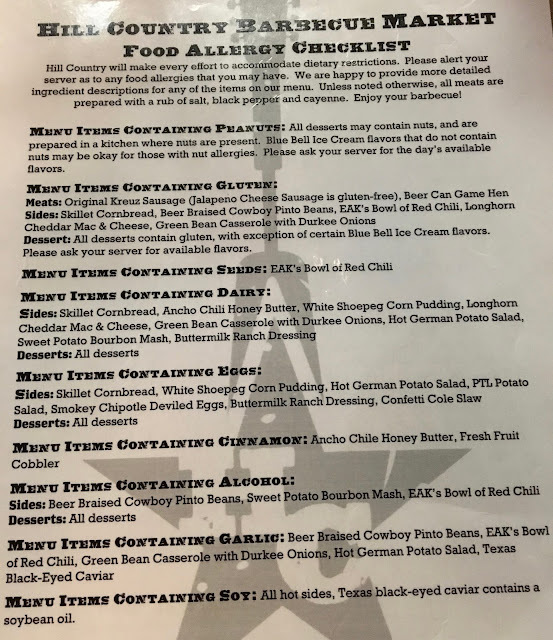 It takes some flipping back and forth, but I found comparing the two to be easy and I really appreciated that Hill Country Barbecue Market details what allergens are in their food.